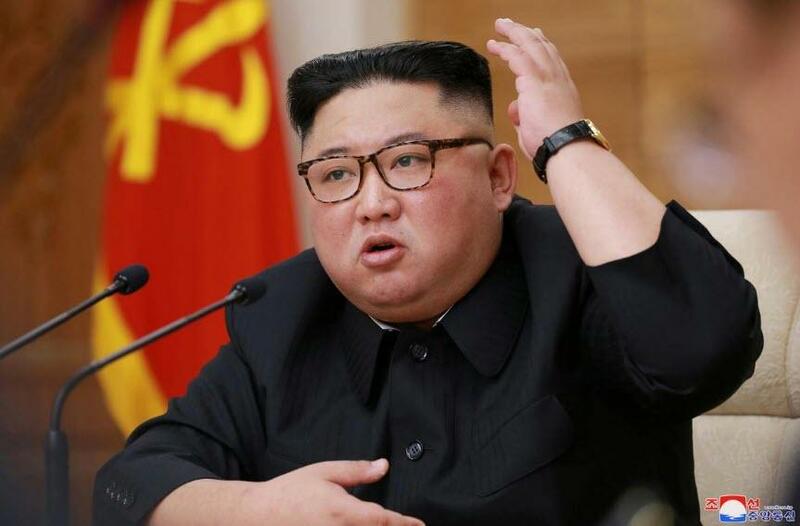 With the detente between Washington and Pyongyang gradually disintegrating, North Korea's corpulent president Kim said his country needs to deliver a “serious blow” to those imposing sanctions through a self-reliant economy - clearly referencing the US - the state-controlled (a redundant descriptor) KCNA news agency said on Thursday. North Korea is expected to convene a session of its legislature, the Supreme People’s Assembly, on Thursday Reuters reported, while U.S. President Donald Trump is expected to hold a summit with South Korean President Moon Jae-in later on Thursday. Meanwhile, in the clearest indication that Kim is not going to wait for Trump to roll out the red carpet, Japan's Asahi reported that Kim is seeking to solidify the backing of the global anti-US axis, and in addition to the support of China's president Xi, Kim will reportedly soon hold his first talks with Russia's president Putin in Vladivostok "soon." Whether this means that North Korea will soon launch another ICBM in America's general direction is unclear, but if it does, the algos are ready to buy stocks as the lack of World War III would be bullish. And just in case the ICBM launch does escalate into another world war, well then few will care what level the S&P is at.